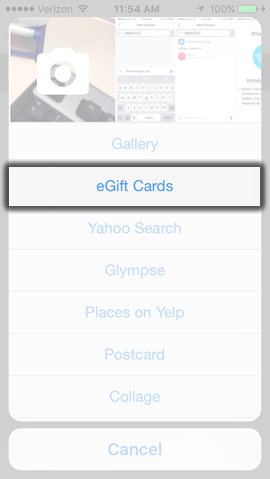 eGift Cards are MMS messages; data charges apply. 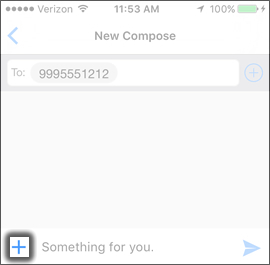 Tap the New Message icon (upper-right). From the To: field, enter a 10-digit mobile phone number or email address. 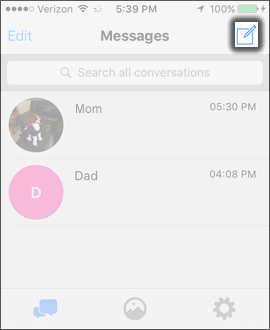 Tap the Plus icon (lower-left). 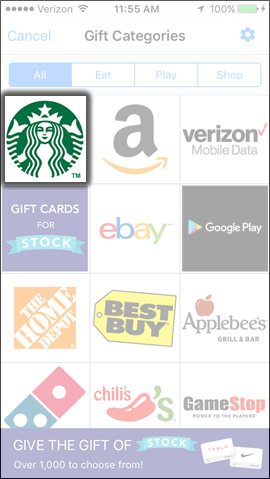 Select a gift card option. 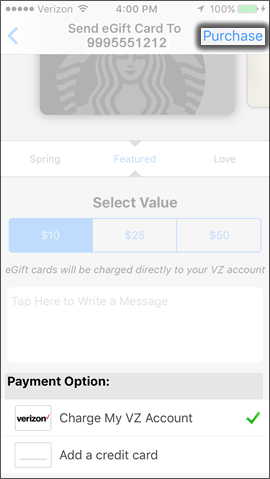 Navigate to and select a card image, dollar value then tap the Tap Here to Write a Message to enter a message. Select a payment option then tap Purchase (upper-right). 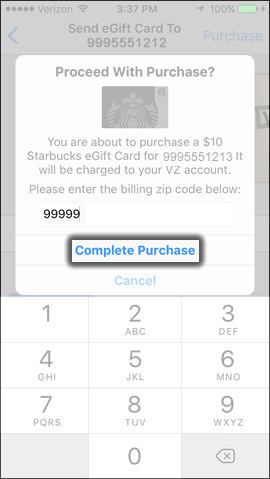 From the Proceed With Purchase screen, enter the 5-digit billing zip code of your Verizon account then tap Complete Purchase. 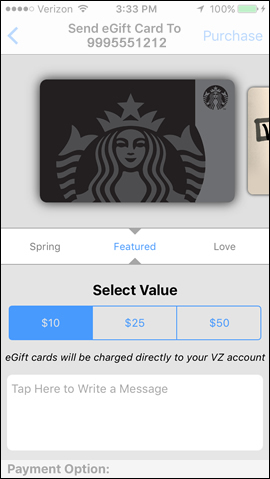 eGift cards are charged directly to your Verizon account. 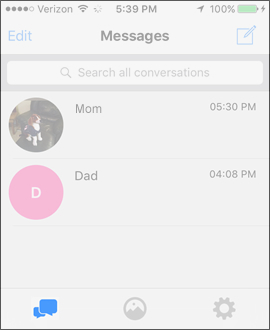 While in Message+ , tap to open the conversation with the person you sent the eGift to. Tap the Menu icon on the eGift you sent.